Many of us might have experienced data loss at least once in their lifetime. Sometimes, hard disk may crash or an SD card might stop working all of a sudden. As a result, many personal data such as photos, videos, documents, etc. becomes inaccessible. We even sometimes, accidentally format our storage media and wipe all our important stuffs with no way of getting it back. This is when EaseUS Data Recovery Wizard shines. 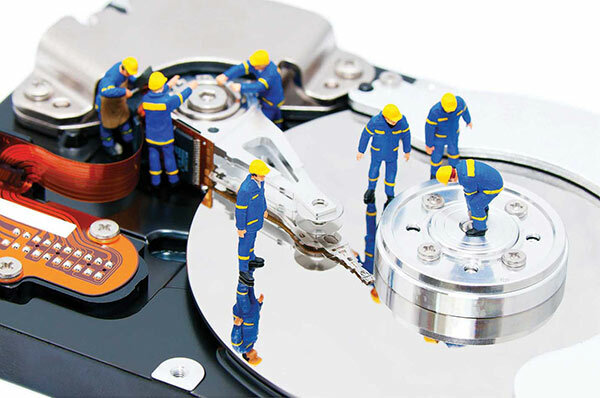 It will provide solutions to all your data recovery needs. EaseUS Data Recovery Wizard is a high caliber data recovery software that will recover your files regardless of the condition from which it was lost; whether it was due to accidental formatting, emptying recycle bin, virus attacks, storage media failure or even physical damage to the device. It can also recover files and media from all sorts of devices such as internal or external hard drives, lost or deleted partition, USB flash storage, memory cards, mobile phones, portable music players and other storage devices with minimum hassle and technical know-how. The iOS version even lets you recover Contacts, Messages, Notes, Call History, Calendars, Reminders, Bookmarks and what not. Deleted File Recovery: This mode recovers deleted files with their original file names and paths. Complete Recovery: This mode is essentially the most important one provided by the software. It performs complete recovery of lost files due to formatting, system re-installation, partition error, malware problems and unexpected power-offs. Partition Recovery: This mode recovers data from deleted or lost partition. The user interface is quite simple and intuitive to use with no extra annoyance to worry about. The Help section provides all the necessary information required for using each modes of the software. Users are just three effortless steps away from regaining their valuable files back. Select recovery mode, scan and recover. While making a recovery, the software allows you to specify the name of the file, its type, data and size in order to make the recovery process quick and accurate. It also enables the user to preview the files whether it is important or not to recover. If you are not sure if the software really works then just create some unnecessary files and then intentionally delete it. 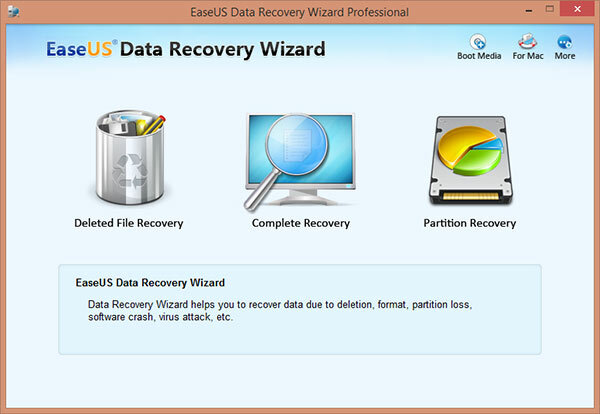 Then use the EaseUS Data Recovery Wizard and see the result by yourself. You can use this data recovery software for partition manager, iPhone data recovery, sd card recovery and so on. The EaseUS Data Recovery Wizard is compatible with most versions of Windows such as Windows 2000, XP, 2003, Vista, 7, 8 including Windows Server 2003, 2008 and 2012. The software is not only limited to Windows but Mac users can also benefit from the numerous features of this powerful tool. The software is compatible with Mac OS X 10.9, 10.8, 10.7, 10.6 along with a separate iOS version available. Depending upon the need, there are many versions of the wizard to choose from. For every platform you get a free version with limited features. It allows you to recover up to 2GB of data which might be more than enough for most of us out there. If you are one of those power users then other paid versions are available as well. For Windows, Pro and Technician versions are available which costs $69.95 and $499 respectively. However, each of them have a free trial version to download for evaluation purpose. For Mac, the software will cost you $89.95 while the iOS retails for $69.95 and $79.95 for two different versions available. With millions of trusted users and more than 10 years of experience, all your data recovery needs are handled by the EaseUS Data Recovery Wizard with maximum security and reliability.